Viswasam is Thala Ajith's latest film to release. 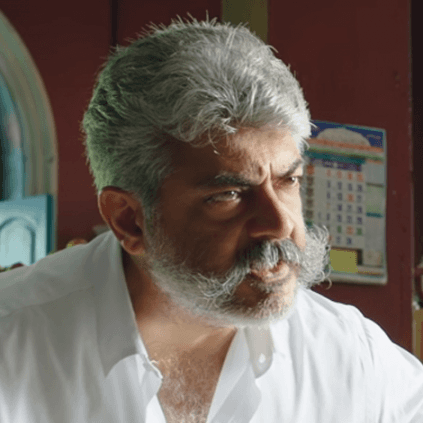 It had Nayanthara, and Anikha in the lead roles apart from Ajith, while Thambi Ramaiah, Robo Shankar, Yogi Babu, Vivek, and others played crucial supporting roles. It was directed by Siva, and produced by Sathya Jyothi Films. The makers of the film have finally released the making video on YouTube. The 8 minute video features how a few stunt sequences, and dance sequences were shot in the film, giving us an insight about the technicalities. Viswasam had D Imman scoring the music, and Vetri handling the visuals. The film is a blockbuster at the Chennai Box Office, and was also well received by the public for the strong emotional content it had. It is turning out to be one of the most memorable outings for Thala Ajith. People looking for online information on Ajith Kumar, Nayanthara, Siva, Viswasam will find this news story useful.